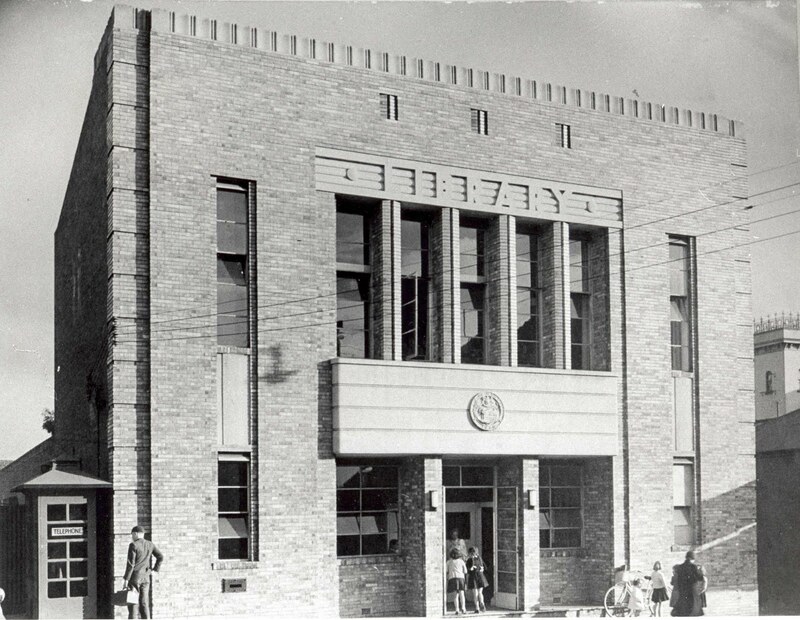 In 1938 Hawthorn City Library moved from the Town Hall to this building adjacent to it. Many older residents have fond childhood memories of this building and the programmes developed by Mrs Carbines. 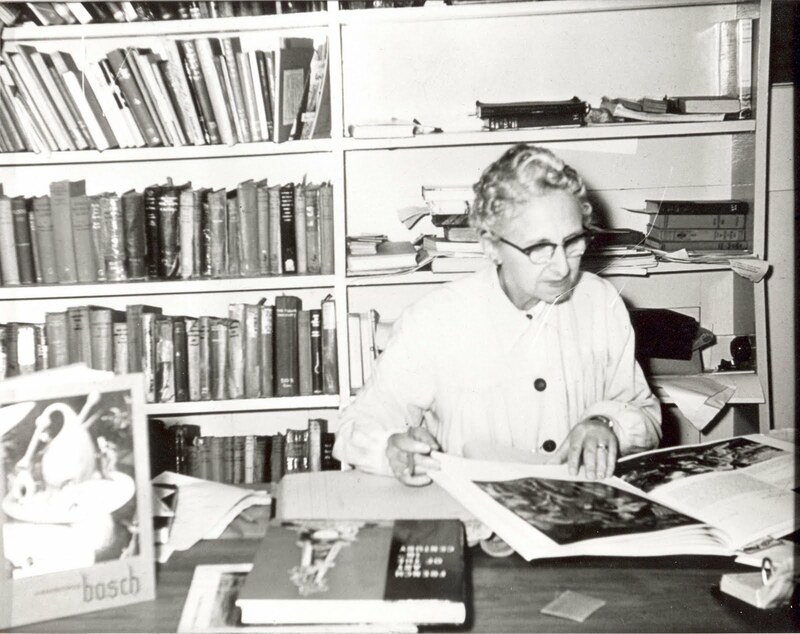 Mrs Carbines, librarian of Hawthorn City library from 1935 to 1960, established a flourishing children's service with many and varied activities as well as a bookmobile service which was much more significant in days when car ownership was limited. 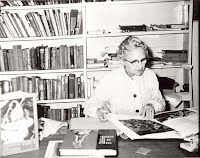 Her period of office saw the establishment of Hawthorn City Library as a professionally run, quality library service. 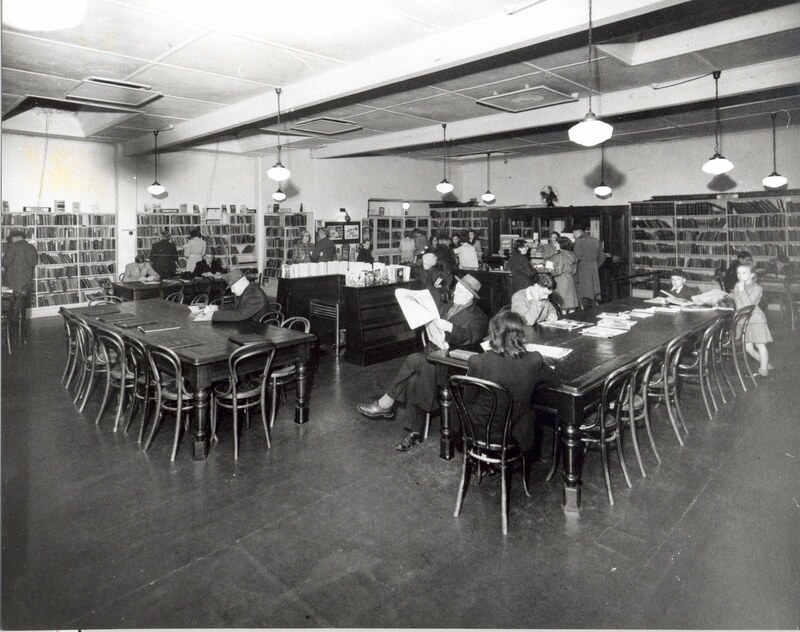 When she died in August 1960, the Hawthorn Library was open 48 hours a week and over 140,000 loans were issued in 1959/60. 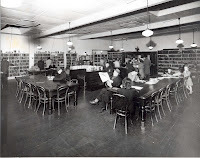 The following photographs show the interior of the library in Burwood Road. 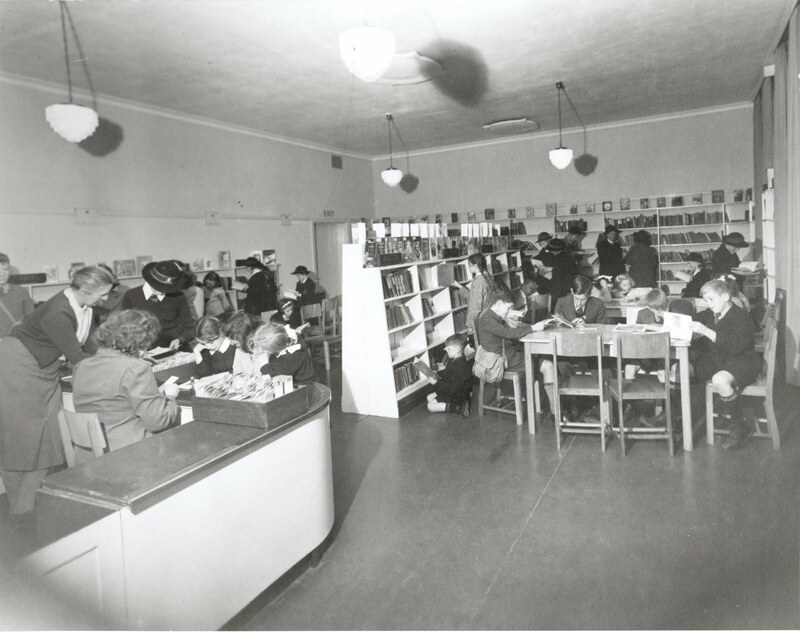 Adult residents make use of their library on a wintry evening in 1938. The children's library at the Burood Road Library was up steep stairs on the first floor but judging by the busyness the younger residents of Hawthorn were not put off.This photo from 1948 shows the new Junior Section.